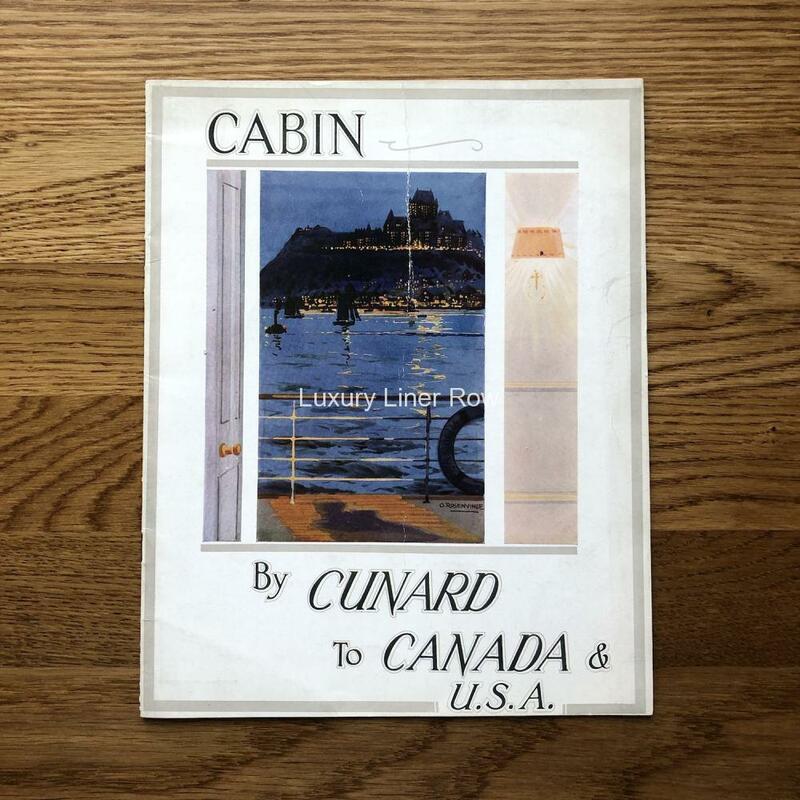 If you are a serious Cunard collector, this brochure is for you. 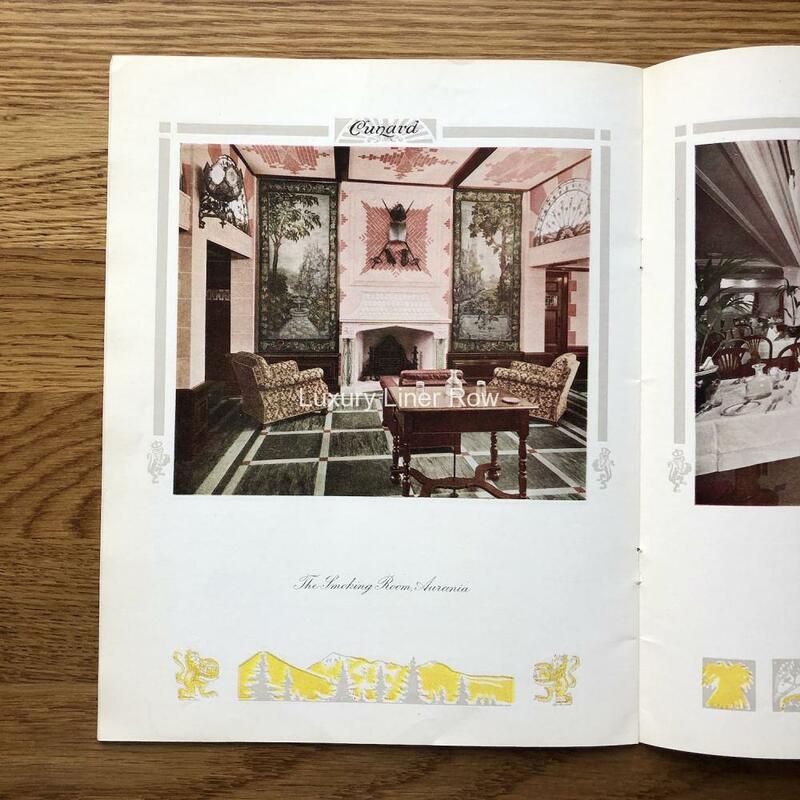 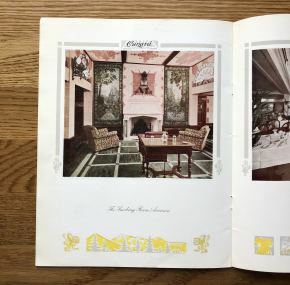 I have never seen another, and it contains all color images of the interiors for the various Cunard cabin liners–Caronia, Carmania, Lancastria, and the A Class. 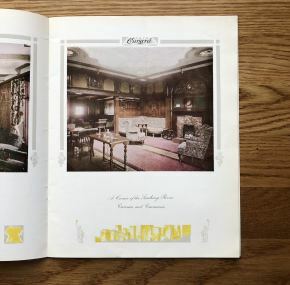 16 pages with 10 color interiors. 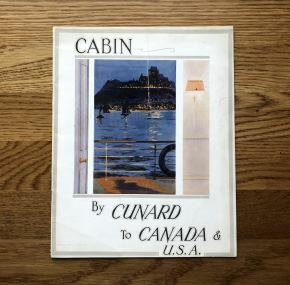 A pretty impressive brochure from when Cunard was pushing their cabin service to the USA and Canada. Brochure had been folded at some point in the past, but this does not detract from the wonderful color interiors!